Nielsen Australia has released new research which indicates that one in three Australian consumers would consider choosing a perceived ‘authentic’ brand when grocery shopping. Nielsen Homescan Insights has highlighted that in particular, ‘authentic’ Italian grocery brands are rapidly growing in popularity. In the past 12 months, two thirds of Australian households purchased perceived authentic Italian brands. This represents 5.7 million households, a rise of 149,000 households on the previous year. 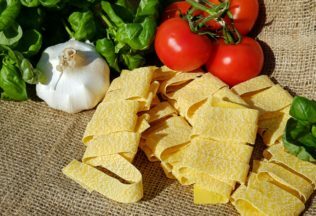 Italian brands perceived as being authentic in the dry pasta, bottled sauce and tinned tomatoes are already attracting a majority of Australian households according to Sarah McKee, Director at Nielsen. At 25.3 per cent penetrance, Nielsen said authentic Italian tinned tomatoes were the most popular item, ahead of bottled sauces (24.4 per cent) and dry pasta (21.9 per cent). “Authentic Italian brands can capitalise on this trend, with focus on the categories where their penetration is low, including cheese, vinegar, biscuits and coffee,” McKee said. Across 10 grocery categories, dollar sales for ‘authentic’ Italian brands increased by 7.4 per cent in 2017. “If the number of households purchasing authentic Italian brands across the top 10 categories increased just one per cent in the next year, a $2 million opportunity would be created,” according to McKee. In order to grow these brands, Nielsen believes engagement with non-English speaking consumers is the key. “Australians as a whole are buying more international foods and are looking to source these products from authentic brands,” McKee said.